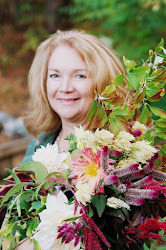 Dear friends, Welcome to my new weekly series, Wednesday Garden Notes with Deb: Through out the growing season I'll be checking in each week with notes from my garden. 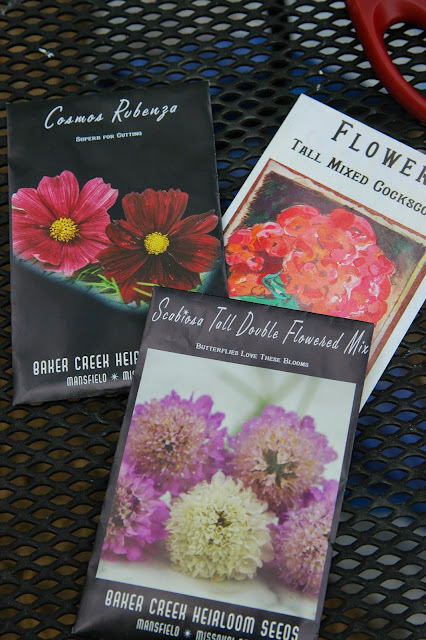 This week, I'm sharing my low-tech tips for direct sowing annuals in raised beds and a simple way to keep track of what you've planted and where. I'm a fanatic for seed packet art. I partially blame the artists behind these beautifully illustrated seed packets for turning me from hobby gardener to backyard flower farmer. There are just too many to choose from but every year I try to sneak in a few new varieties. I've had my eye on the Zinnia Pink Senorita for a couple of years. 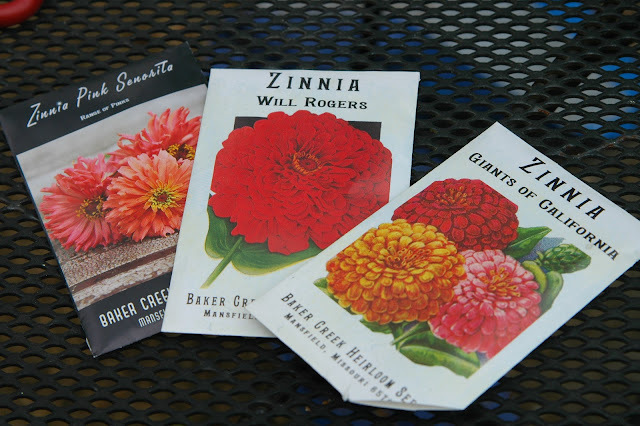 So this year while I was making my seed list I was sure to add it along with the Will Rogers Zinnia and the Giants of California. 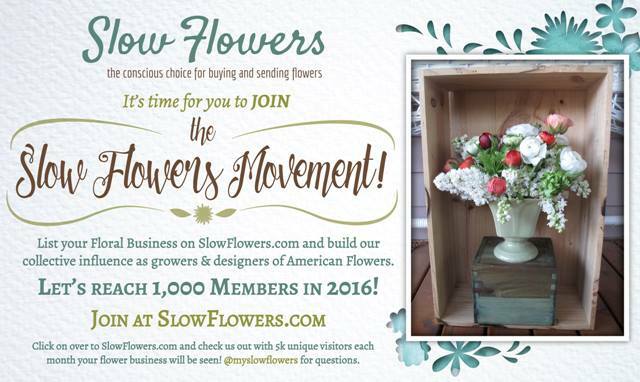 All new to my cut flower collection this year. I fell hard for the Cosmos Rubenza, Scabiosa Tall Double Flowered Mix and the mixed Cockscomb. Dampen your planting area lightly then make your rows. You will be able to see the distance between rows better this way. I''m gardening in Zone 7-A in the northeast. The temps have been very moderate with danger of frost behind us so I feel quite confident with getting my annual seeds in the ground now. 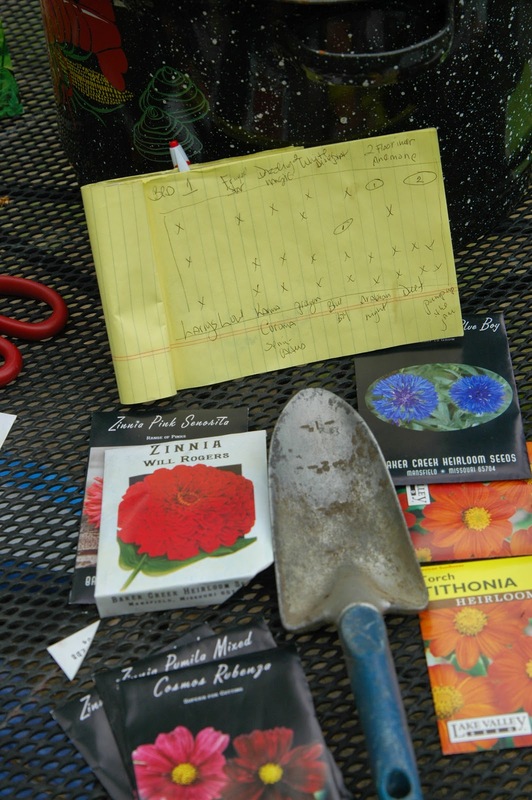 I'll be experimenting with succession planting this summer as well, but more on how that goes in a future post! 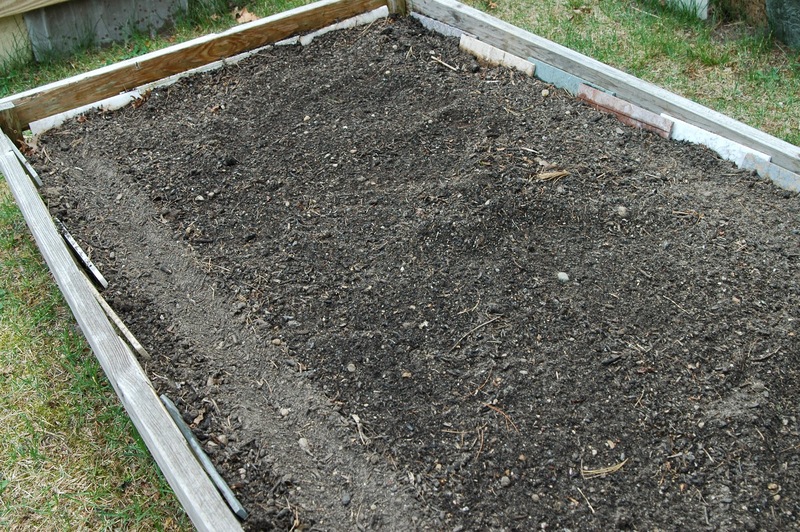 Before any seeds can be planted the raised beds were raked and weeded. I sprayed each bed lightly with the garden hose so that when I make my rows for seeds I can see the distance between rows better. I can make 4 rows in my 8x12x4 raised beds which gives me the equivalent of a 48 foot row and 96 square feet of growing space. Once the rows are made you can begin planting your seeds. 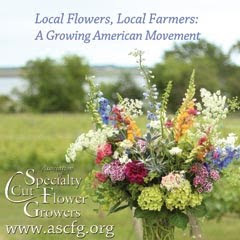 Most annuals should be planted between 1/4 and 1/2 inches deep in fertile, well draining soil. I tend to plant my seeds closer than recommended. I like the fullness of flowers crammed together, leaning in to one another as if they're long lost friends. Once your seeds are in cover them loosely by brushing the soil back over the top of them with your hands or the back of your garden trowel. Lightly water and keep moist until they germinate. Then water lightly daily until they area few inches above the ground. I keep a small notepad nearby to record what seeds go in what bed and the date I planted them. When winter comes I can easily transfer my garden notes to an excel spread sheet with notes about what was successful and what wasn't. Now, I'm not saying I will actually do this but it's a good thought! That's it for today friends...The garden calls! What kind of system to you use for keeping track of your plant collections?